Over the past few months, the news has been overwhelmingly full of stories of well-known retail companies struggling or going into administration. From John Lewis to Maplin, even retail giants don’t appear to be safe. Worryingly, if we look at the tabloid headlines from the start of 2018, the number of cases only appears to be increasing. Clearly, communicating and engaging with customers effectively is a real challenge for many retailers. So what can those retailers that are remaining do to avoid the same fate? In today’s retail climate, interlaced with financial uncertainty, taking the initial steps towards incorporating new technologies into businesses are inevitably met with a level of scepticism. Being able to asses return on investment and show clear impact plays a substantial part in guiding the decision-making process, but at times, the leap of faith can be well worth the risks. Through carrying out extensive research, retail giant Marks and Spencers (M&S) discovered the potential increase of revenue and customer satisfaction that would be achieved by improving on-shelf availability. As a result of these findings, M&S implemented an RFID pilot nearly a year ago and is now reaping the benefits of this. 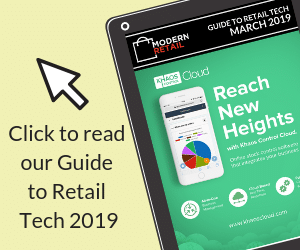 Mark Roberti, of RFID Journal, mentioned this year that M&S “has carried out one of the largest and most disciplined rollouts (of RFID) to date”; an impressive and bold move from a veteran of retail which has proven its worth. The value of being proactive and taking action in such competitive marketspaces are clearly shown through M&S and their “nothing ventured, nothing gained” approach. Luxury retailers, such as Harvey Nichols, have also seen value in investing in customer engagement and taken a leaf out of M&S book. A move that has enabled them to direct customers to products and brands they would not ordinarily engage with and provide them with tailored content and offerings to create a much more detailed and personal experience. So what’s the reason for these high-street stores facing difficulty? Many people cite the rise of online shopping and the younger generations’ preference for it as the reason. However, research from the National Retail Federation and IBM has revealed that actually, 67% of Gen-Zers still prefer to shop in physical stores. The report also highlights that, with over £32m of buying power, it is essential that retailers and brands rethink their approach to marketing and to entice digital natives to shop instore. To do this, brands need to stop basing their proposals on outdated ideas and methods and instead focus on leveraging the power of new technologies to fuse the digital and physical worlds. This will allow them to provide more innovative, interactive and personalised customer experiences. One retailer taking this advice to heart is high street department store, John Lewis. After seeing profits plummet by 22% earlier this year, they announced they were prepared to make “bold moves” in order to improve the customer experience it provides in its high-street stores. So, what can floundering brands do to get shoppers back on side? One option these retailers should be exploring is Near Field Communications (NFC) technology. Such innovation would make every product package “smart”, opening up a host of new possible customer interactions. Because NFC tags contain unique identifiers by item, content can be custom-made to suit the specific preferences, requirements and shopping history of the individual. These tags can be discreetly integrated into packaging without affecting the brand identity consumers recognise and love due to their small size. NFC has the potential to help build and retain customer loyalty by providing personalised experiences that customers want and expect via the technology they use on a daily basis. There are roughly 1.4 billion people carrying smartphones currently and around 85% of these already have NFC readers installed. With a simple tap of these NFC-enabled smartphones, users can uncover everything from ‘how to guides’, competitions, targeted product offers or reordering reminders. With advancements in production and manufacturing, NFC-enabled smart packaging is financially economically viable for mass markets. The retail industry is now in a position to take full advantage of these developments, to unlock the vast opportunities NFC poses and to be utilised to truly enhance the customer experience. Gillian, VP Marketing at PragmatIC, is a very experienced marketing professional with a track record of launching new products to market in high-tech businesses. She brings a wealth of knowledge of delivering strategic roadmaps, marketing materials and product lifecycle management across multiple sectors including semiconductors and digital inkjet printing, at companies including Texas Instruments, Dialog, CSR and Xaar.